Chicago is now home to one of the most flexible theater venues in the world. 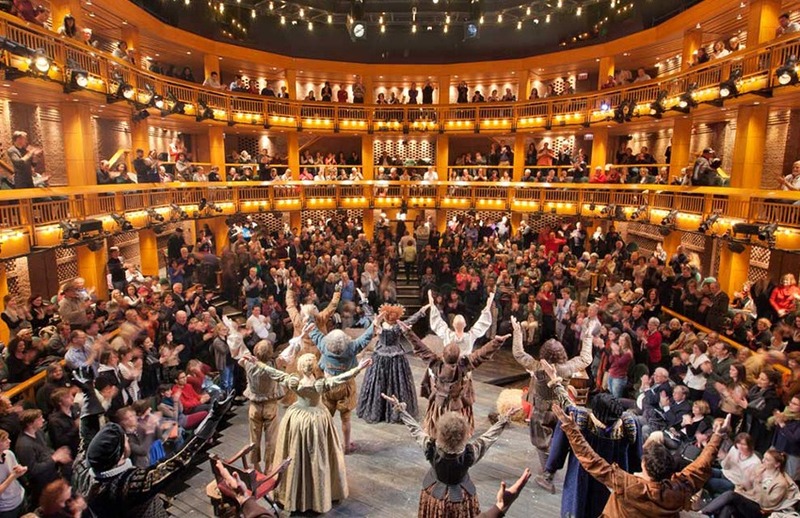 The Yard at Chicago Shakespeare introduces a new trend in theater architecture to the city, with audience capacities ranging from 150 to 850. The dynamic design features nine mobile audience “towers” that can be arranged in a wide variety of ways. With each visit, you will come to “expect the unexpected” as the relationship between audience and actor is redefined by the vision of each production’s creative team. This season’s shows in The Yard highlight the versatility of this innovative new venue—from its largest proscenium configuration or a unique cabaret-like environment to an intimate thrust stage with runway aisles. The three-theater campus, encompassing our Courtyard Theater, Upstairs at Chicago Shakespeare, and The Yard, now enables us to offer more productions, extend runs of successful shows, and significantly increase our service to students.